Anamudi (Malayalam pronunciation: ​[aːnɐmʊɖi], ആനമുടി) is a mountain located in the Indian state of Kerala. It is the highest peak in the Western Ghats and South India, at an elevation of 2,695 metres (8,842 ft) and a topographic prominence of 2,479 metres (8,133 ft). It lies on the border of Devikulam Taluk, Idukki district and Kothamangalam Taluk, Ernakulam district. The name Anamudi literally translates to "elephant's forehead," a reference to the resemblance of the mountain to an elephant's head. The first recorded ascent of Anamudi was by General Douglas Hamilton of the Madras Army on May 4, 1862, but it is likely that there had been earlier ascents by local people. Anamudi peak is one of only three ultra prominent peaks in South India. It is also the peak with the greatest topographic isolation within India.It is the highest point in India south of Himalayas. Thus it is known as "Everest of South India". Anamudi is the highest peak in the Western Ghats in India, having an elevation of 2,695 metres (8,842 ft). Anamudi is also the highest point in South India. This gives Anamudi its relatively large topographic prominence of 2,479 metres (8,133 ft), the associated key saddle being over 2,000 kilometres (1,200 mi) away at 28°35′20″N 76°27′59″E﻿ / ﻿28.58889°N 76.46639°E﻿ / 28.58889; 76.46639 in Haryana state just to the west of Delhi. The peak is the highest point of the Periyar river basin. The peak is not exceptionally dramatic in term of steepness or local relief and is a fault-block mountain. It is located in the southern region of Eravikulam National Park at the junction of the Cardamom Hills, the Anaimalai Hills and the Palani Hills. The nearest town is Munnar, 13 kilometres (8.1 mi). The easiest route to the summit of Anamudi is a technically easy hike on grass slopes, starting from a rolling hill plateau with a base elevation of about 2,000 metres (6,600 ft). The north and south slopes are gentle, while the east and west slopes are steeper, with more difficult rock faces. Anamudi and the Eravikulam National Park surrounding it is home to the largest surviving population of the Nilgiri tahr (Nilgiritragus hylocrius). Asian elephants, gaur, Bengal tigers, and the Nilgiri marten (Martes gwatkinsii) are some of the species of animals found here . The Anamudi peak area is also habitat of a unique frog Raorchestes resplendens. This newly discovered species is located in the Eravikulam National Park and is restricted to less than three km2 on the summit of Anamudi. The summit of the Anamudi is vegetated with patches of stunted Arundinaria densifolia and Gaultheria fragrantissima (wintergreen), Anaphalis sp., Impatiens and some species of Eriocaulon. ^ a b c "Anamudi". Kerala Tourism. Retrieved 2014-11-26. ^ a b c "Explore Wild Munnar". Eravikulam National Park. Retrieved 2014-11-26. ^ a b c "Southern India Mountain Ultra-Prominence". Peaklist.org. Retrieved 2009-12-14. ^ a b "Anai Mudi, India". Peakbagger.com. Retrieved 2009-12-14. ^ a b Web Map Service (Map). Survey of India. Retrieved 2017-12-11. ^ "World Peaks with 300 km of Isolation". Peakbagger.com. Retrieved 2017-11-12. ^ "Up the Everest of the South - The New Indian Express". Retrieved 25 January 2018. ^ "Anamudi - Kerala". Vedanta Wake up!. Retrieved 2014-11-26. ^ "Studies on the nature and chemistry of sediments and water of Periyar and Chalakudy Rivers, Kerala, India by Maya K." (PDF). Retrieved 2005-03-01. ^ Hoiberg, Dale; Ramchandani, Indu (2000). Dale Hoiberg (ed.). Students' Britannica India, Volumes 1-5. Popular Prakashan. p. 63. ISBN 0-85229-760-2. ^ "Significance of Eravikulam National Park". Eravikulam National Park. Retrieved 2014-11-26. ^ "New species of frog found in Eravikulam National Park". The Hindu. Retrieved 2014-11-26. ^ "Eravikulam National Park Management Plan". Eravikulam National Park. Archived from the original on 2010-04-04. Retrieved 2009-12-14. Hunter, William Wilson (2009), The Imperial Gazetteer of India, BiblioBazaar, LLC, ISBN 1-110-35940-3 . Hunter, William Wilson; James Sutherland Cotton; Richard Burn; William Stevenson Meyer; Great Britain India Office (1909). The Imperial Gazetteer of India. 11. Clarendon Press. Archived from the original on 16 December 2008. Retrieved 2009-01-07. 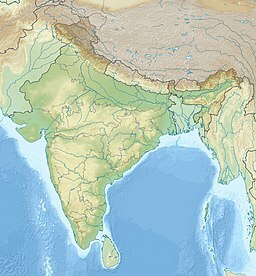 Wikimedia Commons has media related to Anamudi.